Happy New Year! Hope 2018 has been a good year for you. 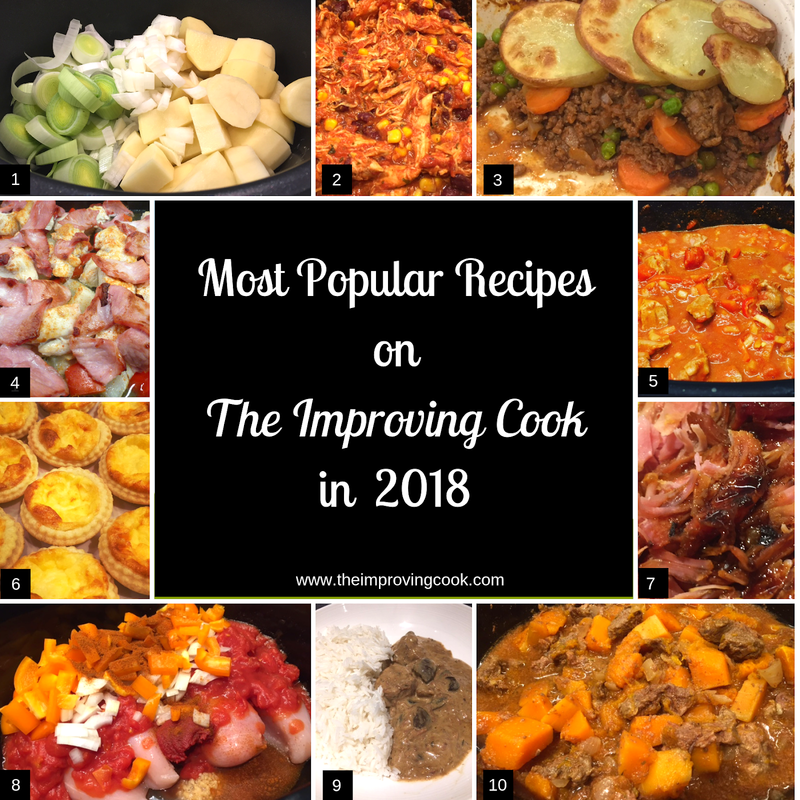 I have been doing my annual rootle through my blog statistics for the year, to see what 2018 most popular recipes are on The Improving Cook blog. Much like the last two years, slow cooker recipes feature heavily, as you'd expect. Interestingly though, all the cake and dessert recipes have been knocked out by more dinner recipes. Read on to see which recipes made the list, followed up with some 2018 blog stats. There are some quite big changes, lots of new entries- read on to find out more! 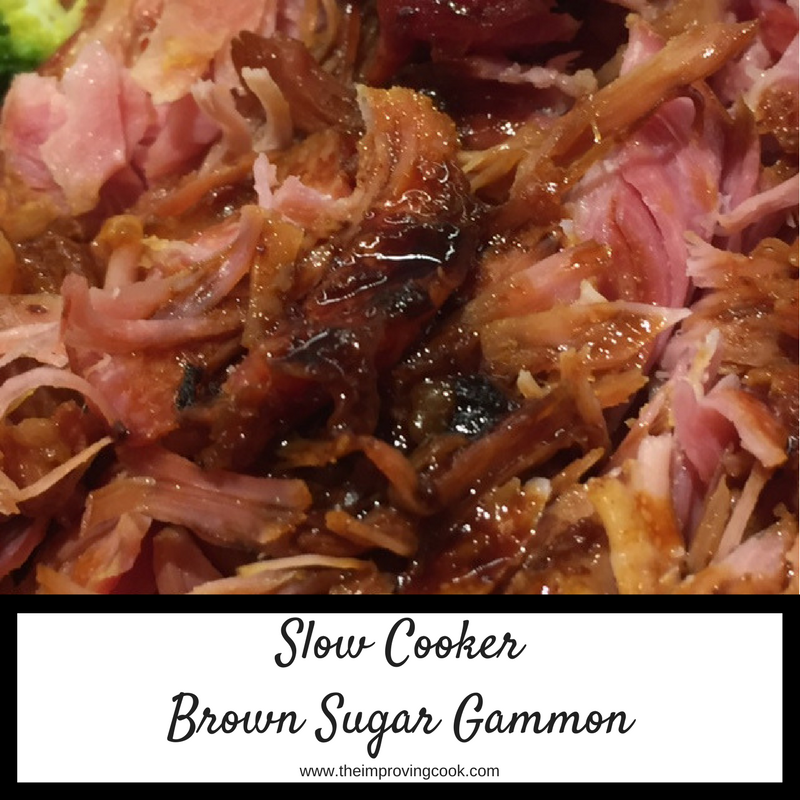 The most popular recipe every year for the last three years, it's easy to make and perfect for winter lunches. 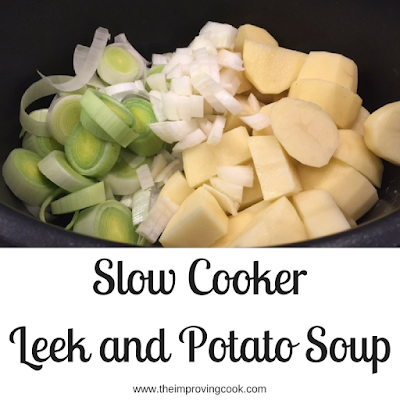 My slow cooker leek and potato soup recipe is also the most-visited recipe on the blog ever. It had nearly 16,000 hits this year alone. 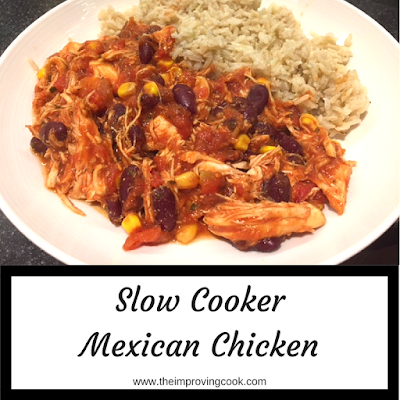 One of my personal favourite recipes, it has never featured in the top ten before. I made it as part of a Mexican feast this year for my birthday, so I am delighted it has become 8000% more popular this year! This quick dinner recipe is Slimming World Friendly, which I think helps it to stay consistently popular. 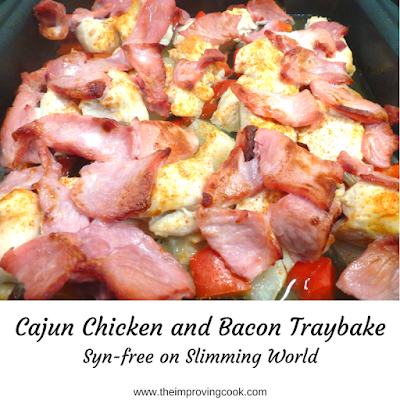 Cajun Chicken and Bacon traybake went viral on Pinterest early last year and has continued steadily. Very handy on nights when you don't have much time. Another new entry on this year's list, Beef Mince Hot Pot is a slight twist on a family classic. It never disappoints and is full of flavour. 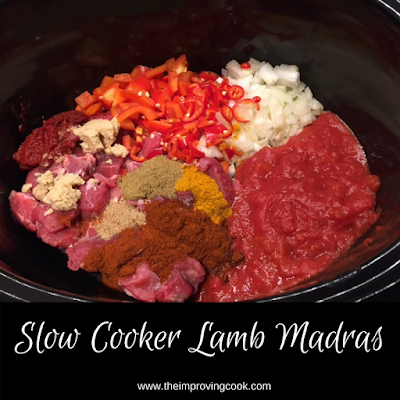 Another new entry this year, this spicy lamb madras recipe has been slowly growing in popularity. 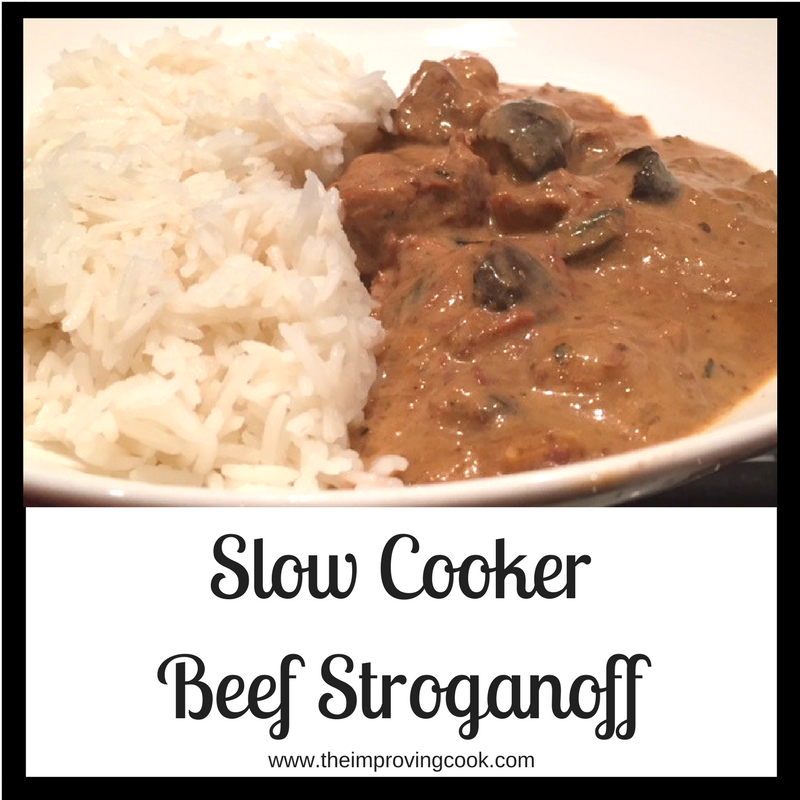 Lots of flavour and nice served with rice. This was a new recipe for 2017 and took off right away. It continues to be popular this year. Perfect for buffets and parties, they are little parcels of yum. Always pretty popular, this recipe has surged in the last few months, particularly on Google and now appears here for the first time. Just a handful of ingredients and you've got delicious dinner. The leftovers make amazing sandwiches too. This was one of my first recipes and is a very regular dinner in our house. It's also light on the calories and very filling. A new recipe this year, chuck in all the ingredients, slow cook and then add sour cream. It is as easy, and as good as it sounds. Perfect served with rice. A new recipe last year, Beef and Butternut Squash Stew has just stayed on the list this year. It looks like there's no stopping the popularity of slow cooking, so more to come in 2019. As you can see, I've done nothing on Twitter. It brings me about 30 blog views a year, for quite a bit of effort, and just isn't worth it. The remainder comes in small amounts from Recipes Club, Twitter, Instagram and other blogs. Hopefully 2019 will be just as good! Yuuum! I’m always on the hunt for new recipes and I am loving the sound of all of these- especially the slow cooker ones. Thanks for the inspiration! Interesting to see what was popular here. Good ideas for what people like to cook for themselves and others!